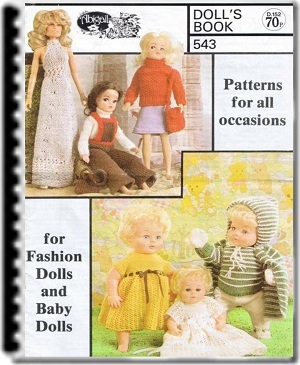 Dolls Clothes Patterns 543 ebook are patterns for all occassions. 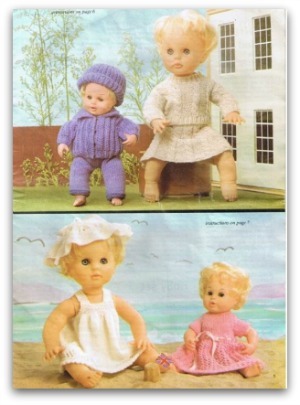 For both fashion dolls and baby dolls You will find a wide selection of clothes for all your favorite little girls dolls. Included is something for almost every occasion. 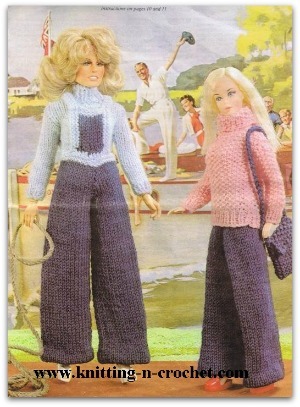 Here is a lovely wardrobe for all the best dressed dolls. As most of the patterns only take a small amount of yarn, this is an ideal opportunity to use up all your oddments to make presents or gifts for your local bazaar. 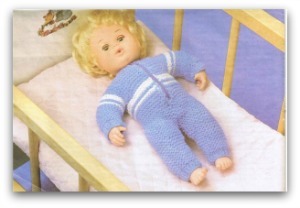 This book is divided the book into two sections, the first section contains patterns for the Baby type dolls. The different sizes are: 30 (40-50) cms or 12 (16- 20) inches. These include different sizes: 27(29-31) cms or 10 ¾ (11 ¼ -12 ¼) ins. 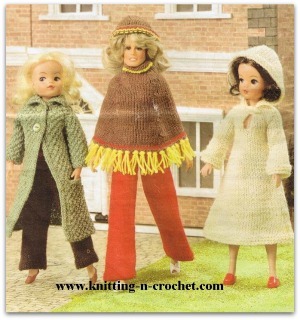 The three Fashion Dolls they have used are Sindy, Barbie and Farrah. 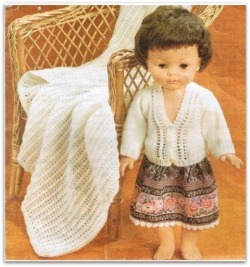 Measure the length of your doll from head to toe to determine which size pattern you require. Always press each piece on wrong side of work avoiding ribbing. Using a hot iron arid a cloth, steam each piece thoroughly without allowing the weight of the iron to rest on the work. While the knitting is still damp pin out, then press lightly again and allow to dry. The tensions for all the patterns in this book have been based on a standard tension over st st as detailed below. If you have to use a different needle size to obtain this tension a similar adjustment must be made to the needle sizes used in the patterns. 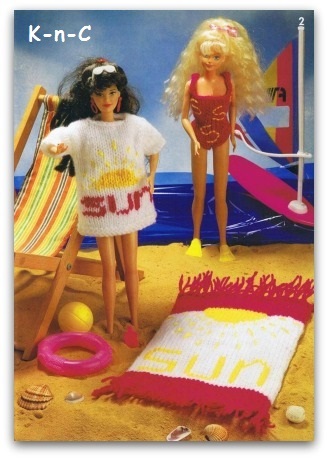 Double Knitting: 24 sts and 32 rows = 10cms (4in) square using size 3 3/4 mm (9) needles. The yarn quantities have been worked out as accurately as possible, but these may vary slightly according to the type of yarn used. Australia: Where Double Knitting is referred to in this book, we suggest you use 8 ply and where 4 ply is referred to use 5 ply.